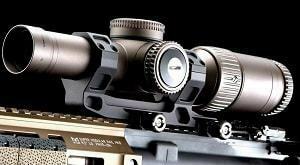 We are your source for Military grade Rifles, Optics, Rifle Assemblies, Pistols, Gear and Parts. We carry 100% authentic equipment. We've got your SIX at Charlie's. If you don't see it, just ask. 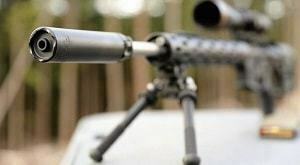 Military Sniper Rifles... You Bet ! 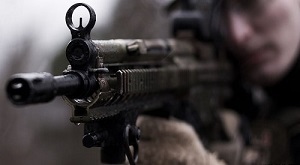 We are your Military Sniper Clone HQ, with all of the military correct suppressors as well: Mk11, Mk12, Mk13, Mk20, M110, DMR, SDMR, SAM-R, you name it. We either have it in stock or are working on a build. Give us a call. Complete rifles and upper receiver groups. Military and Tactical Classics: M4A1 Block 1 and Block 2, Mk18 Mod0 and Mod1, M249 SAW semi-auto, FBI HRT SBRs, CQB Rifles, Cone Building or Custom, you came to the right place. Charlie’s is a firearms manufacturer and dealer of firearms and parts and we are proud to offer a wide assortment of accessories and parts for the AR platform. We carry AR uppers, stocks, sights, mounts, rails and more, anything you need really. Whether you are searching for gun parts, handguns, AR’s or build-up rifles, Charlie’s can help. The staff at Charlie’s are concerned with your needs and aspirations as it pertains to rifles and rifle builds, which is why we feature exclusive brands and high-quality merchandise. And while we do focus on the AR platform, we are into the M4 and the SR25, so we don’t focus solely on your basic AR15. 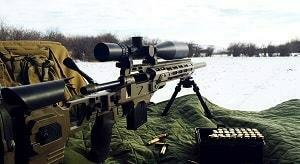 In addition, we also specialize in long-range precision rifles as well as sniper rifles. Our mission at Charlie’s is simple. We strive to provide the merchandise you want and desire at prices that, while not the lowest, are certainly more than fair. Additionally, you can expect outstanding customer service. No matter what you need, we are here to help you in your quest to get properly geared up for the next big hunt or just to add to your tactical collection.